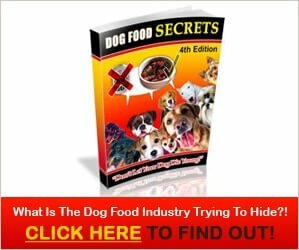 Every dog owners desire is to see their dog eat healthy and ditch the chemicals and preservatives that taint their food and cause potential health problems. Hence, l have here for you guys high energy dog food recipe. Please share recipe with other dog lovers. Place the meat, oats, rice water and 1 cup of chicken stock in a soup pot. Chop the vegetables finely in a food processor and add them to the meat. Cook over a medium heat until meat is cooked through. The oats will expand and absorb the majority of the liquid. Remove the mixture from the heat and pour into a sealable container. Allow to cool before serving. Serve with homemade dog kibble. This recipe will store in the fridge for up to 3 days. Place rolled oats and water in microwave-safe bowl and microwave on high for two minutes, or until cooked. Allow to cool in the fridge. Pour the sardines and the oil over the oats and mix together well to mash up any bones in the fish. Serve with homemade kibble. Ideally, you should give your dog this breakfast every second day. The small bones in sardines won’t harm your dog’s innards, but will add some calcium and vegetable oil into your dog’s diet. If you enjoy the high energy dog food recipe post, share it with our friends on facebook and pinterest.